There are currently 3,276 users on this website. 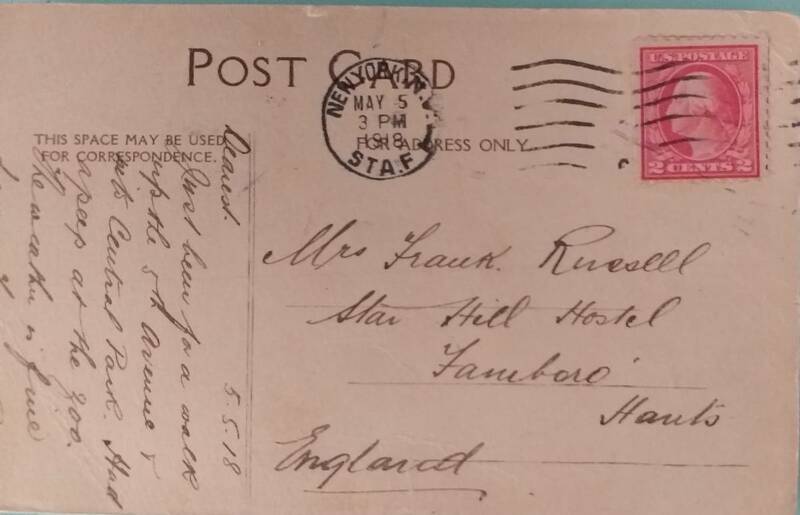 Here is another one that is a bit strange, date on the postmark 1918, seems to have a printing error on ear (strange shape) tried to look this up but cannot locate it, if you guys have any ideas your input is much appreciated. Looks like a perf 12, which would make it a 406. It's straight edge at right, so could be from a booklet pane, that would make it a 406a. 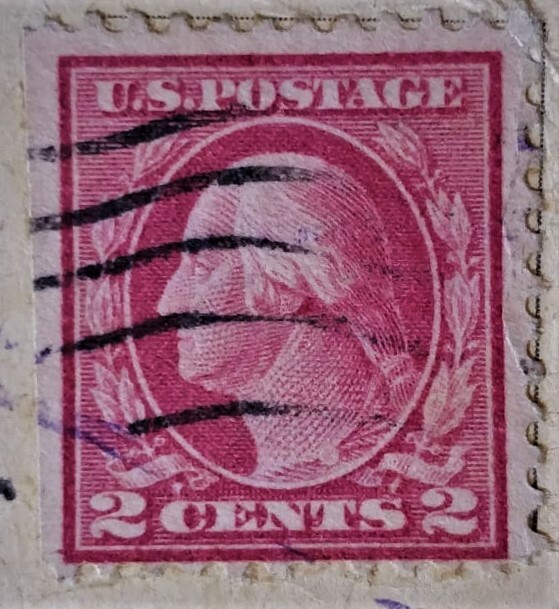 Common stamp. I don't see anything unusual in the ear that you mention, maybe a little heavy inking. Looks to me like a 499, perf 11. Revcollector, you might be right there... it's closer to the 1917 issue instead of the 1912 of the 406. So I'll yield to 499. Much of a muchness regarding value though, both common used 25c. After looking at it again as well, I don't think it's from a booklet pane. the left margin is at a diagonal. Yes, looks like a rose type I, 499e, from a booklet (design seems wide). Actually the line is not straight at the left, that is true, but is it always that straight for all booklets, or is it possible that it was not cut straight?